HissTank › HissTank Community › G.I. 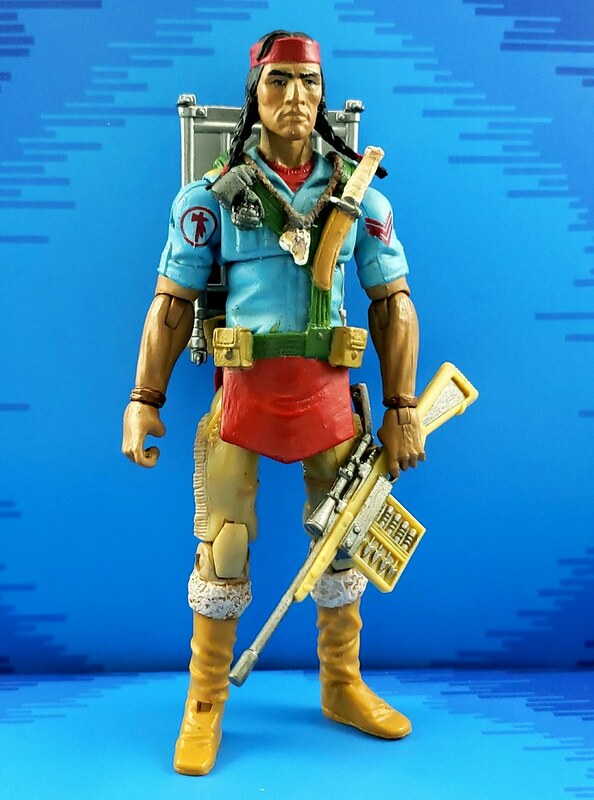 Joe Customs › Custom Duke, Roadblock, and Spirit By HissHissFangFan! 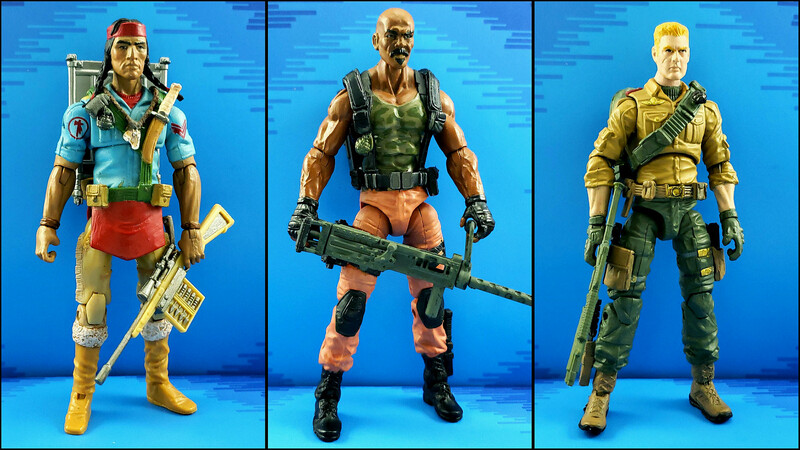 Custom Duke, Roadblock, and Spirit By HissHissFangFan! HissTank member HissHissFangFan posted up some delicious customs of Duke, Roadblock, and Spirit that really captures their iconic look. Check them out after the jump! Unplanned new thread, as I was able to get some cool stuff in Iowa last week and complete two redo�s I had on my mind but uncomppleted for a year or so. Separate from my O13 and T13 sets, I�d start a G.I. Joe thread for any other notables I�ve got now, and for future considerations. My interests are mainly in the first years, but may occassionally drop in someone from the later years. I had this Roadblock ready for a while, save the head. 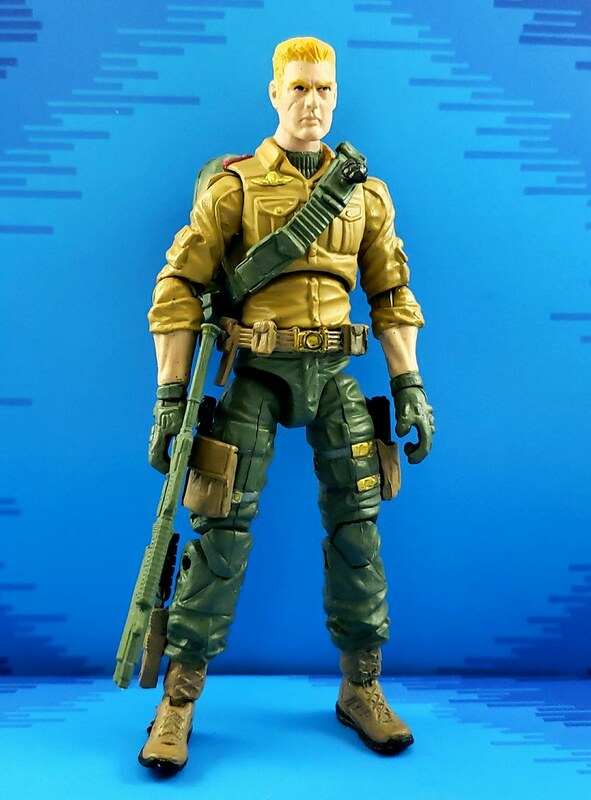 As a stand in I had been using a modified Rock Retaliation head, but I was hoping to secure a custom cast of the FSS Roadblock at Assembly Required in Iowa. Raginspoon had plenty available at the show so I bought a few for play. Put the head on the Amazon 4 Pack Roadblock, replaced the hands, upper legs, and knees with Retaliation Roadblock hands, replaced the lower legs with 50th Gung-ho, and painted him up. The webgear is from the original 25th version�the straps were cut at the back base at the belt, and still looking for a more permanent solution back there. Near the end of the show, I was looking closely at Raginspoon�s custom casts of the newer JoeCon Spirit Iron-Knife sculpt. Online photos of the original painted versions of this head look real bad, but raw unpainted casts show that these are nicely sculpted, and make you question if these were indeed the same sculpt. Over at the AvacsLab table, the fine KC castor had some 50th Anniversary Spirit custom heads which included ponytails from the 50th Stiletto figure blended to the sides (similar to what Oreobuilder had done with his excellent custom, but with longer more detailed braids). For the rest of the figure, I followed Oreobuilder�s lead using the upper body from the Kwinn figure, shaving down the shoulders so that the webgear could sit lower, and sculpting up a thicker neck to help blend the larger head and the wide torso�to give him a more heft. Shaving down the shoulders was done real late in the process, after having painted the shirt and adding the shoulder decals from ebay seller 87spuds�so the shirt painted got dinged up, and don�t really have time for a full matching repaint of the shirt right now. As with Roadblock, I�d prefer a slightly smaller cast of this head. Also, I�d prefer longer and taller legs, but I just can�t part with the nice little sculpting details of the original 25th figure. But overall, I really like how this came out. I�d been thinking about this one for a year or so, but didn�t like the head options I was considering until now. This one was made years back from the Danger at the Docks Flint when it was released. Nothing revolutionary here from what many in this forum have presented previously (maybe the wingcrest cut from the original 25th figure, but I think someone else did that as well). I do really like this build, since it reminds me of the 12� Sideshow version, so the gloves stay, and this torso sculpt is one of my all time favorites for its excellent proportions and sculpting details, so the undershirt stays�although just yesterday I decided to cut down the size of the turtleneck collar. Amazing, as usual! I really love that modded Spirit head, you ought to cast it yourself! That’s some exceptional work, all 3 of these look fantastic! Excellent work! What really stands out to me is that for the most part, these are part-swaps and paints, which tells me that Hasbro has the necessary parts to make better renditions of the ARAH characters. 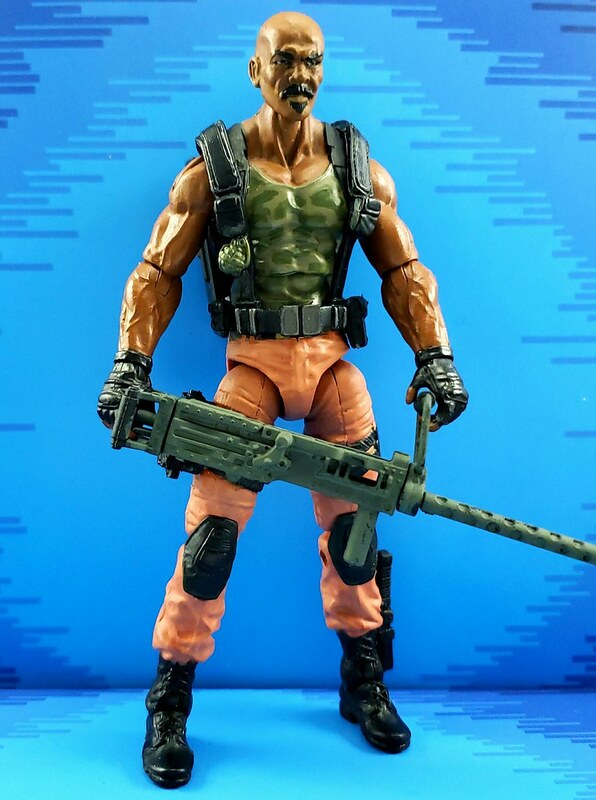 I just can't believe that as popular as Duke and Roadblock are that they have not issued these characters in a "50th" style that resembles the original ARAH figures. My only suggestion is given that outfit for Spirit, you really need a Freedom to go along with him! That Spirit is just perfect, man. That Spirit head looks phenomenal. I can't believe that's the JoeCon head. Amazing what a good paint job can do to some of these sculpts.